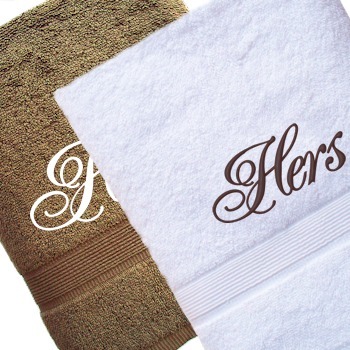 Personalised His and Hers cotton bath towels a unique useful gift in Brown and White. Personalised His and Hers cotton bath towels a unique useful gift in Brown and White. These 75x125cm bath sized towels are 100 percent soft cotton.